What is The True Meaning of Stewardship? Recently, not long after I moved into my new role, I was asked by my VP if we had prepared a report for one of our major ($1million +) donors from the previous year. He was rightly very concerned that the report be delivered on time according to the gift agreement. However, I had a problem. The question was not actually whether we could we deliver a report within the timeline. It was “had we actually done what we said we would do with the gift within that first year?” As it turned out the department that had benefitted from the gift had not implemented the gift as quickly as we had envisaged and this had not been communicated to anyone. We were able to resolve this quickly and get back on track and continue our positive relationship with the donor, but it was a reminder of the challenge of stewardship. If we go back to the dictionary definition of stewardship we learn it includes “the careful and responsible management of something entrusted to one’s care”. Karen Osborne,(Osborne Group) describes it as “Delivering on the Promise”. So before we can move to CASE’s definition of stewardship “Activities designed to keep donors informed and involved regarding the use and benefits of their past gifts” we have to ensure we are delivering the promise and managing the donor’s gift. The starting point for stewardship, therefore, is to have a clear understanding of the intent of the gift and to ensure that the details are communicated to all stakeholders. In a complex organization such as a University many people are responsible for executing a gift and ensuring we are all working together and understand our roles and responsibilities can be a challenge. So what are some of the tools in our stewardship toolkit? When soliciting a gift ensure key stakeholders are included early. Frontline staff must ensure that the promise is deliverable, realistic and possible. Develop gift agreements that clearly outline the purpose of the gift, any deliverables and timeline. Meet with the program staff/faculty regularly on your major gift commitments. If reporting is annual, have a mid-point check in to ensure things are on track. Have a reminder system to trigger the writing of reports or impact stories. Dedicate budget and resources to the activity of stewardship – don’t let it be an afterthought. Educate and involve the program staff (in our case faculty) to enhance understanding of our responsibilities to donors and the impact of philanthropy. Jane Potentier, CFRE is a senior development professional with a strong track record in integrated advancement, exceptional leadership skills and experience working with diverse organizations and in complex environments. Jane enjoyed an 11 year career in fundraising for UK charities before moving to Canada in 2001. She has worked at the University of Alberta in Edmonton since January 2002 in a variety of progressively senior advancement roles. 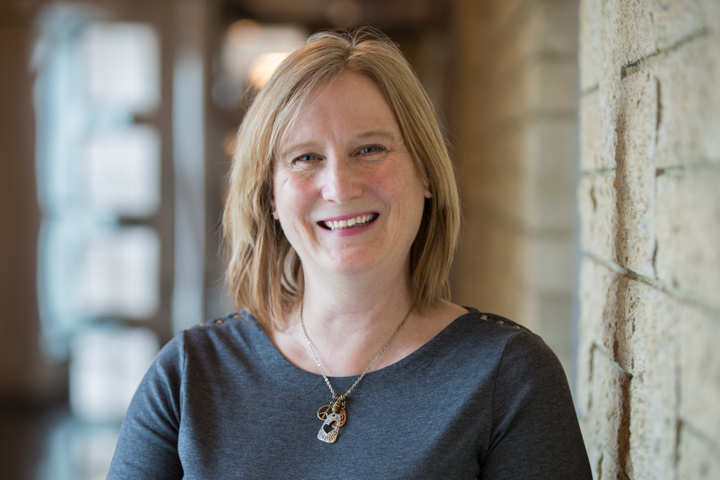 Since August 2013 has been the Director of Advancement for the Faculty of Arts, where she works collaboratively with the Dean and other academic leaders to build and advance strong personal and professional relationships that result in philanthropic contributions from alumni and friends.